Volkswagen chairman announces the development of new fuel-saving technologies and a new Porsche Cayenne Plug-in Hybrid that is slated for production. At the International Vienna Motor Symposium Prof. Dr. Martin Winterkorn, Chairman of the Board of Management of Volkswagen AG, gave a forecast of future drive system technologies. The chairman announced the development of new fuel-saving technologies that are coming and the production of a new Porsche Cayenne Plug-in Hybrid. Other areas of development will include a high-performance diesel engine and a new 10-speed dual clutch gearbox. Why is Volkswagen focusing on a new hybrid plug-in for the Cayenne? Winterkorn noted in his speech that among the alternative drive systems, plug-in hybrids in particular offer great potential. The German automaker has a goal of lowering the European new car fleet’s CO2 emission level to 95 g of CO2/km by 2020. The head of the Volkswagen Group stressed that over the medium and long-term, different drive system technologies would exist side by side. These would range from highly efficient internal combustion engines and natural gas systems all the way to hybrids and electric vehicles. The Porsche Cayenne won’t be the only new plug-in hybrid that will be slated for production. VW also announced that along with the Group’s first plug-in hybrids, the Porsche Panamera and Audi A3 e-tron, that will shortly be going into full production, they will be followed by the Golf, Passat, and Audi A6. VW didn’t say how soon we will see the new stable of plug-in hybrids, but they should be arriving in the near future. Along with other forms of alternative power, plug-in hybrid technology in the Porsche Cayenne and other models will be the choice for the mid-term to reduce overall fleet fuel consumption. This enables a purely electric range of up to 50 kilometres, and owners can recharge from a socket at home and offers flexibility for longer trips thanks to an efficient internal combustion engine. Is the internal combustion engine on its way out? Winterkorn emphasized that existing internal combustion engines still offer a lot of potential. He said, “Since the year 2000, we’ve reduced the fuel consumption of our TDI and TSI engines by more than 30 per cent. I’m convinced that by 2020 we can achieve further increases in efficiency of around 15 per cent.” Factors making this possible, he said, would include enhancement of the combustion process, intelligent lightweight design, innovative operating strategies and optimization of friction levels and thermal management. Volkswagen has targeted the Cayenne to be the next hybrid model from Porsche as it is the brands model that is most in demand around the globe. Porsche sold 74,763 Cayenne’s around the world last year which was a 24.8 percent increase over sales in 2011. The new Cayenne plug-in Hybrid should be popular around the globe as performance SUV’s are in high demand. Buyers around the globe bought close to 19,000 units of the Cayenne S, Cayenne GTS and Cayenne Turbo. Porsche is certainly the leading manufacturer of high-performance SUVs and their new Cayenne Turbo S is leading the way in 2013. The U.S. is Porsche’s most successful market around the world with a total of 35,043 Porsche vehicles sold which is a 20.7 percent increase over 2011. 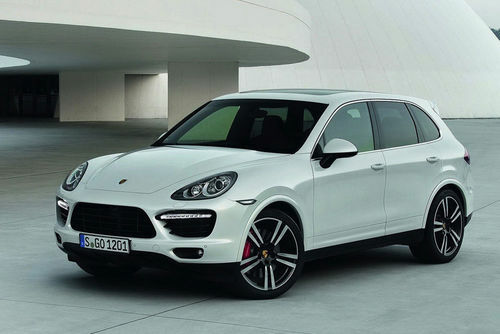 A new Porsche Cayenne Plug-in Hybrid should also be a in demand with its fuel-efficiency and high level of performance.